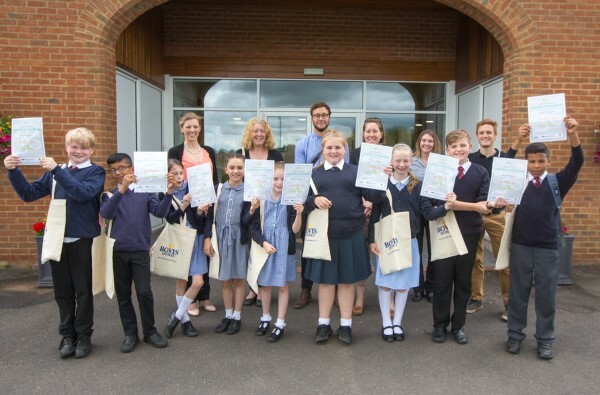 A group of students from a Worcestershire school recently had the chance to have a closer look at a range of reptiles that are being relocated to a specially designed new home in Pershore. 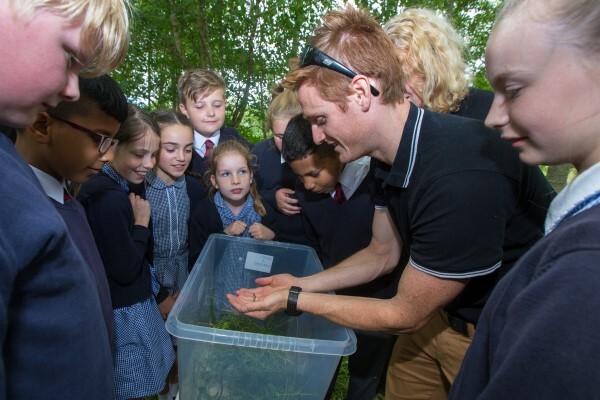 The Year 5 and 6 students from The River School visited The Vale Golf and Country Club in Pershore to learn all about the creatures that are being moved to the course from nearby Drakes Broughton, as part of a large reptile translocation project. Parts of the course, which spans over 150 acres and includes areas of woodland, scrub and rough grassland, are being transformed into a new enriched habitat for the reptiles. The project is delivered through a partnership between housebuilder Bovis Homes, their environmental consultants The Environmental Dimension Partnership (EDP), ecological landscapers Three Shires Ltd and The Vale Golf Club. The translocation is part of a 10-year scheme, designed by EDP, which is being funded by Bovis Homes and delivered by Three Shires. Since April, over 350 slow worms and 65 grass snakes have been moved from a Bovis Homes location in Drakes Broughton to the course, which has been enhanced to create the perfect habitat for reptiles and other local wildlife. The habitat enhancements taking place include the creation of wildflower meadows, woodland management for reptiles and invertebrates, and installing new places for wildlife to breed, hibernate and forage, including reptile log piles and shelters, bird boxes, a barn owl nest box, bat boxes and invertebrate habitat boxes. The 10 and 11-year-olds were welcomed to The Vale Golf and Country Club by representatives from Bovis Homes and EDP. The students, who were all specially selected for having a passion for wildlife, learnt all about our native reptile species and the importance of biodiversity conservation, and had the chance to handle slow worms and juvenile grass snakes before releasing them back into the wild.